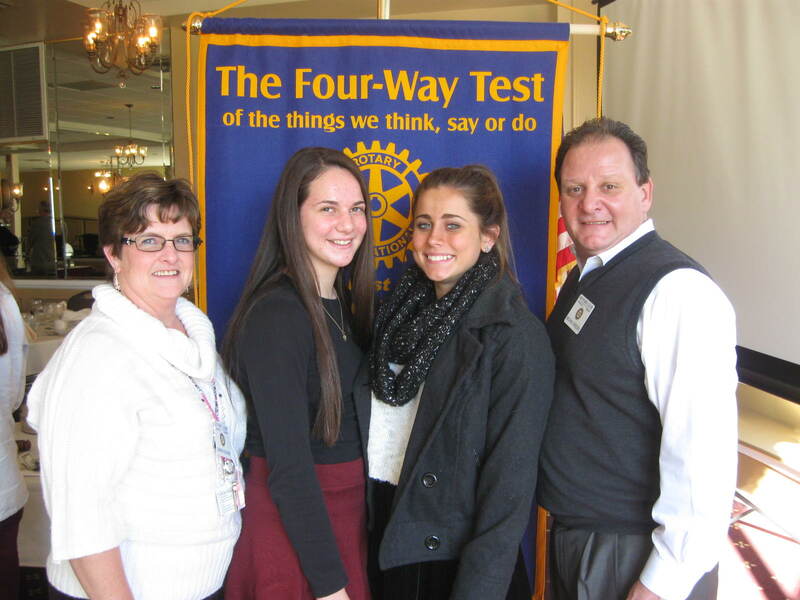 Springfield Township Rotary Club honored officers and members of their two Interact Clubs. Springfield is unique in having more than one Interact Club, one each from Philmont Christian Academy and Springfield Township HS. Interact stands for International Service. There are more than 200,000 youth involved in Interact in more that 10,000 Clubs and 109 Countries. These students have accomplished many local humanitarian accomplishments this year as well. After an induction of the new leadership of each Club, the Interact Advisors revealed the recipients of the Service Above Self Awards to the deserving Interactors that stood out this year. 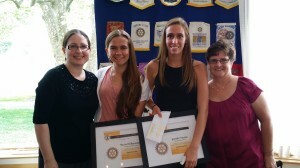 Pictured Left to Right: Philmont Advisor Beth VanVeldhuzen, Recipient Rachel DiBenedetto, Recipient Jennifer Natale, and Springfield Township HS Advisor Sharon Vecchione.